Everything about this road freaks us out. 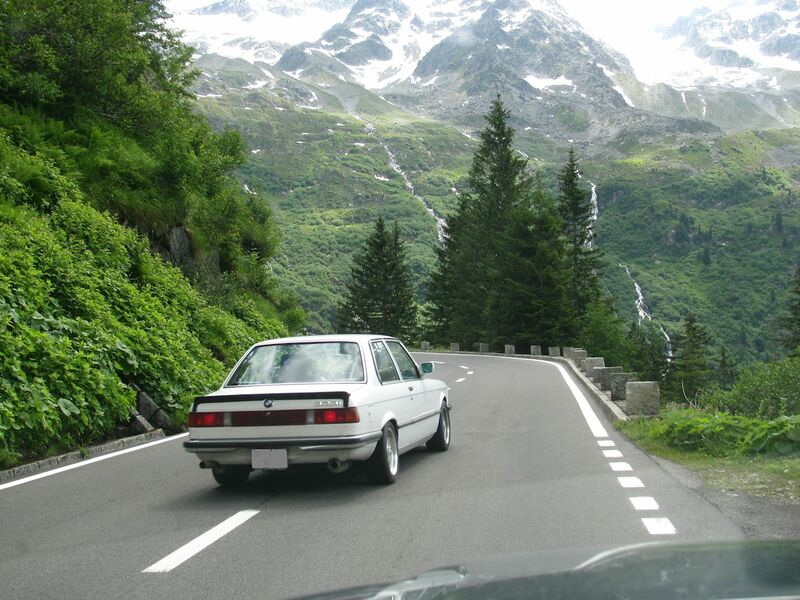 All photos @DriveEurope. Click to enlarge. For maps see below. 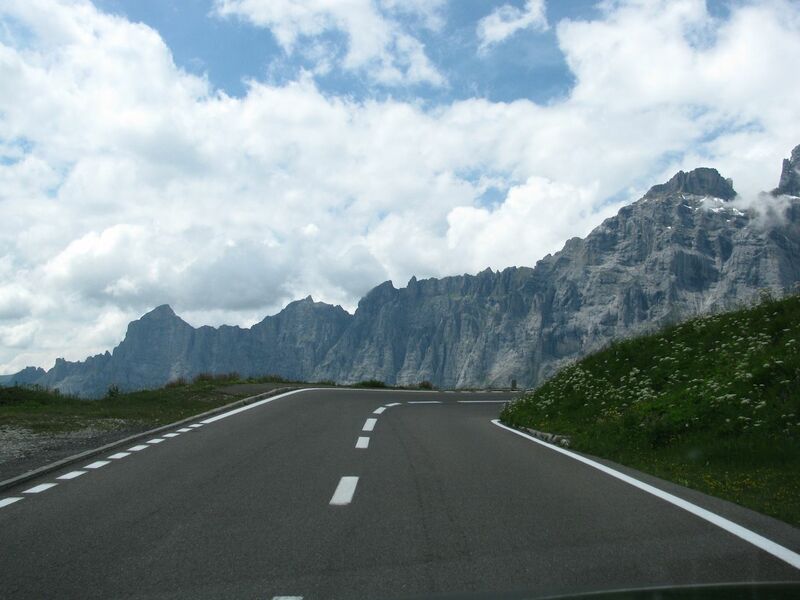 At 28 miles Susten Pass is the longest road on the loop. 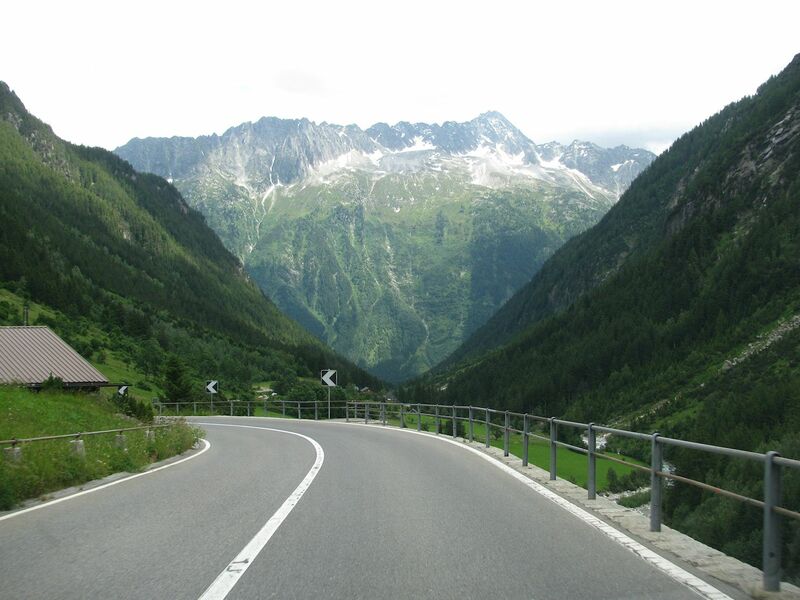 It runs through the Uri (Urner) Alps – west to east from Bern canton to Uri canton, the Hasli valley to the Reuss Valley, Innertkirchen to Wassen – with several off-shoots along the way. The bald facts tell you very little. Topping out at 2224m – 7296ft – makes it medium high. The maximum 9% slope is frankly a bit pony. Very soon however it’s clear there’s no great appetite for study barriers. Meanwhile the drops are pretty much vertical. It’s also a racer’s road. Don’t be surprised if a boy racer steams past, admirably oblivious to the risks. 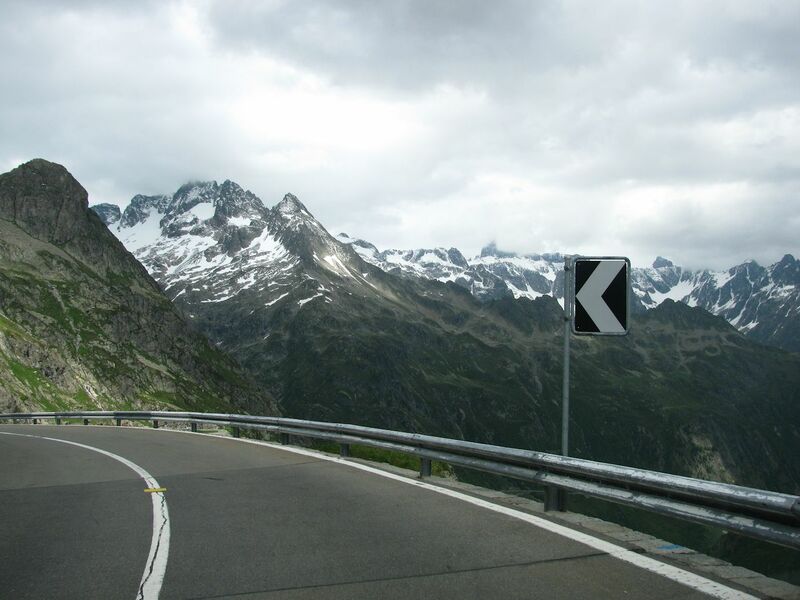 Susten separates the Uri Alps into its two main groups, the (lower) Titlis ridge to the north and the Dammastock Massif to the south. 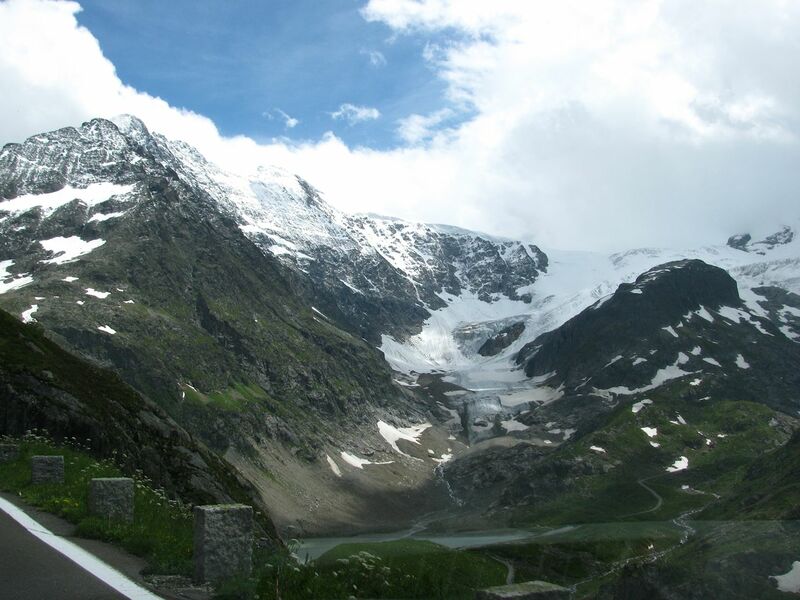 The Stein Glacier is the big attraction, just on the west side of the pass head, pouring 4.3km down into Steinsee Lake between Sustenhorn (3503m, left) and Gwachtenhorn (3420m). From here the water flows west into the Aare then into the Rhine. Steingletscher has only retreated by 1km in the past 150 years, far less than others, though it’s not clear why. The off-shoot road takes you right up alongside. Phew. (RicoRally.co.uk loves this road). Normally the way down is much easier. Susten was actually more unsettling. The fact there are now barriers is deeply disconcerting – it must be really dangerous! 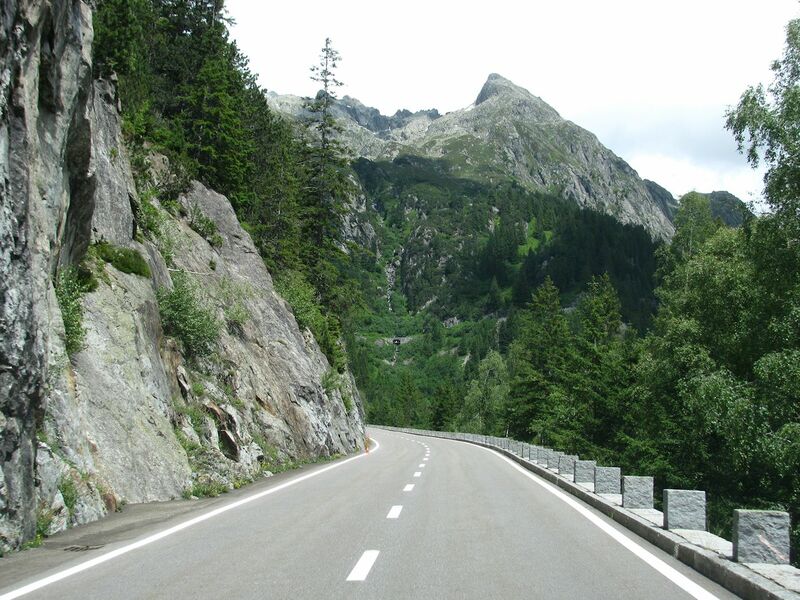 – though, on reflection, the road now being in Uri canton probably has a lot to do with that. 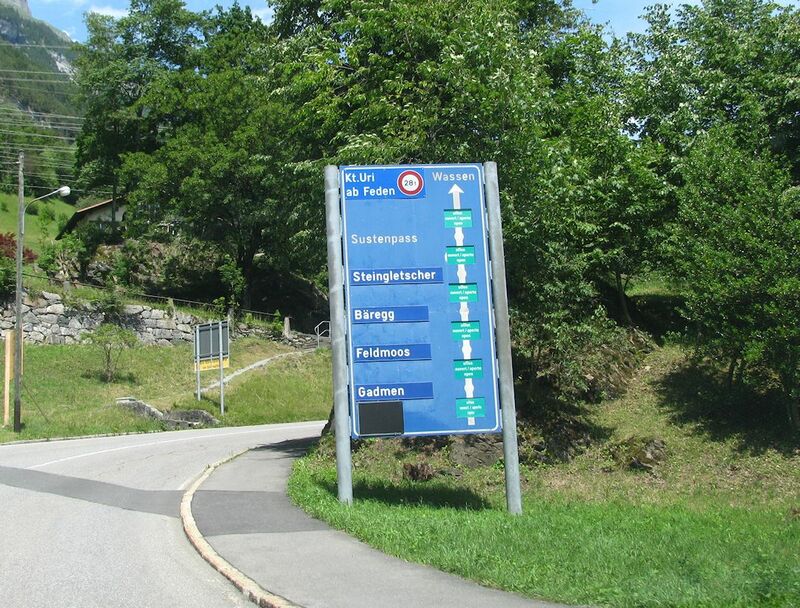 Clearly they are more risk averse than their neighbours in Bern. The long valley views are great – you can see almost all the way down to the bottom of the Meiental Valley right from the top. On the other hand you can’t avoid seeing what’s coming up. That hairpin down there looks seriously precarious. In reality it’s fine. The road is the same width and you can’t see over the edge. The views are much better in retrospect. The ‘sust’ in Susten means warehouse, where mules were transhipped, i.e. had their loads transferred from one to the other. There’s been trade across here since at least the Middle Ages and a road since the early 19th century though it was rebuilt just before WW2. 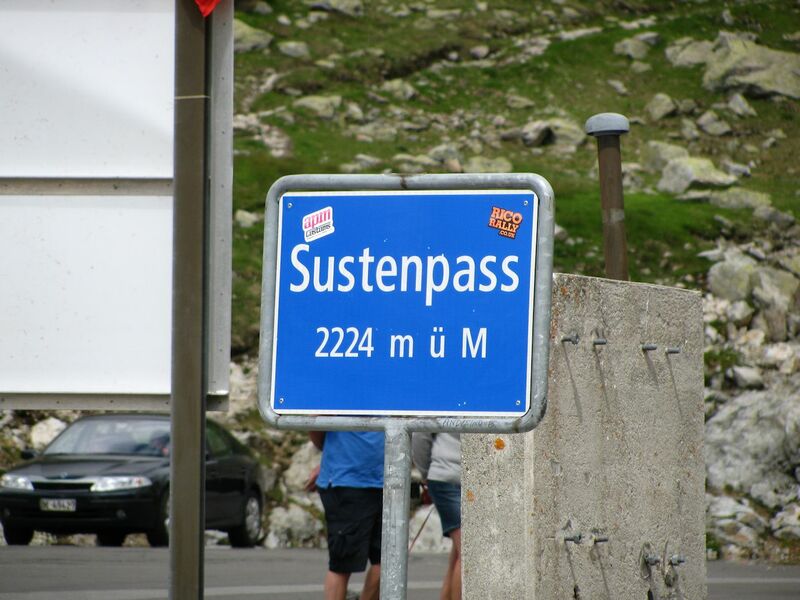 Only a third of Susten Pass is on the east side but it’s directly downhill most of the way. That’s okay for us. Not sure I’d be so keen driving the other way. Wide-eyed bikers coming the other way pull into a lay-by ahead of us as we get near the bottom, clearly having second thoughts. They follow us back down but, obviously calculating that if two ponces in a Range Rover can handle it then so can they, turn round again. 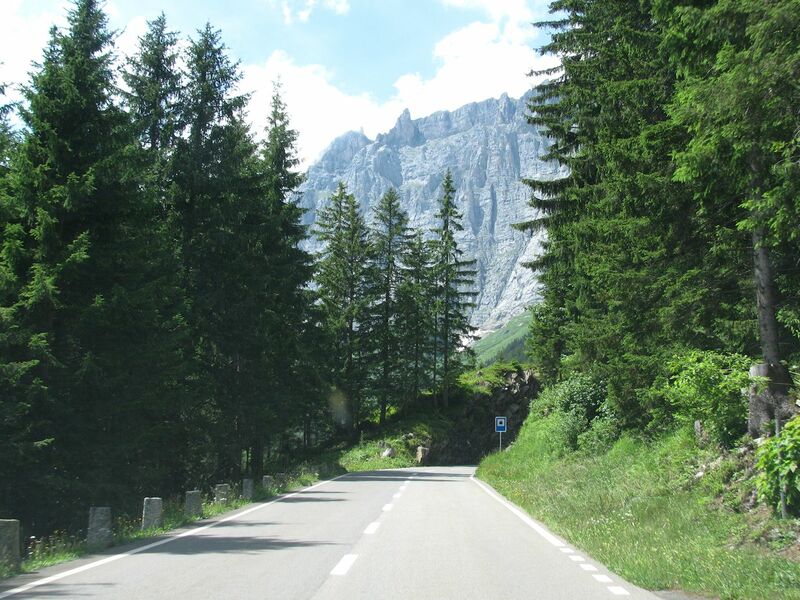 Theoretically mountain roads are easier on a bike; smaller vehicle, you don’t have to get quite so close to the edge. 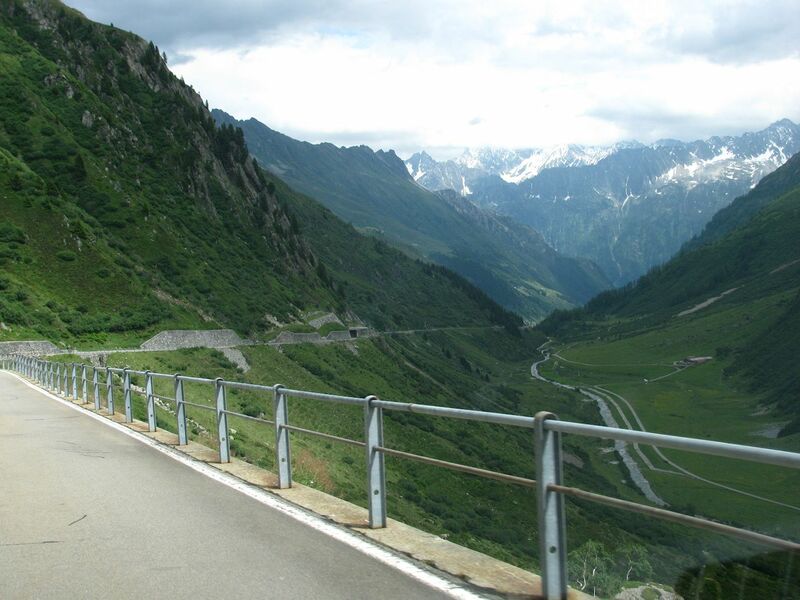 Ultimately though, when the road gets higher and higher and higher and higher and higher, with 1000ft sheer drops just feet away, it doesn’t seem to make much difference what you’re driving. 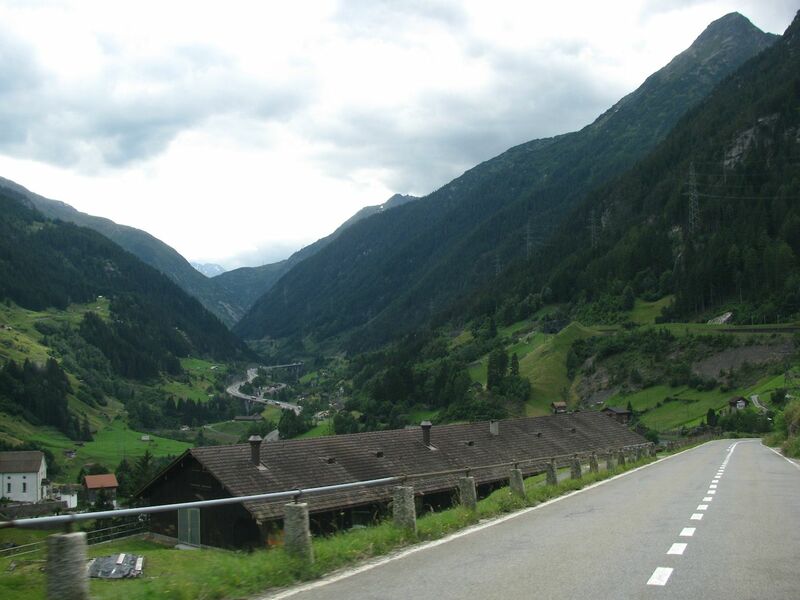 The road in the bottom of the valley past Wassen is the A2 motorway. 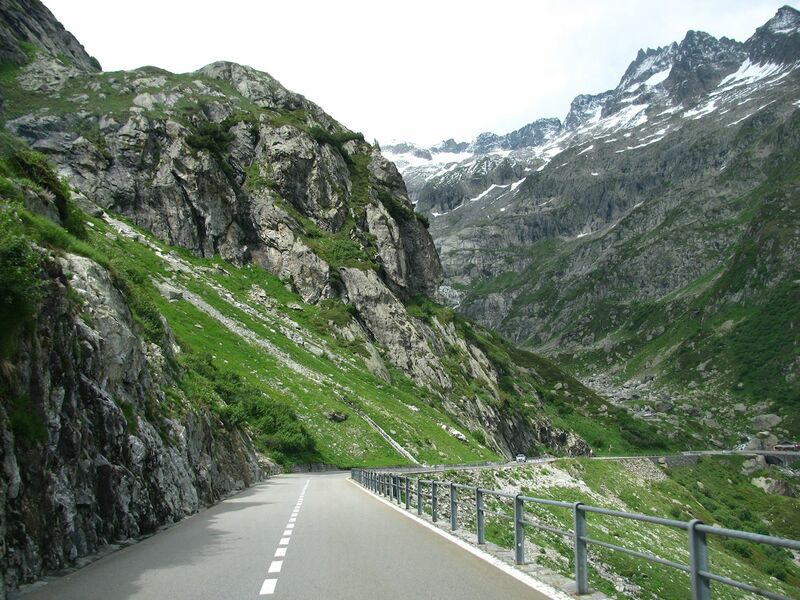 Beyond is the Schollenen Gorge back up to the Gotthard Pass. 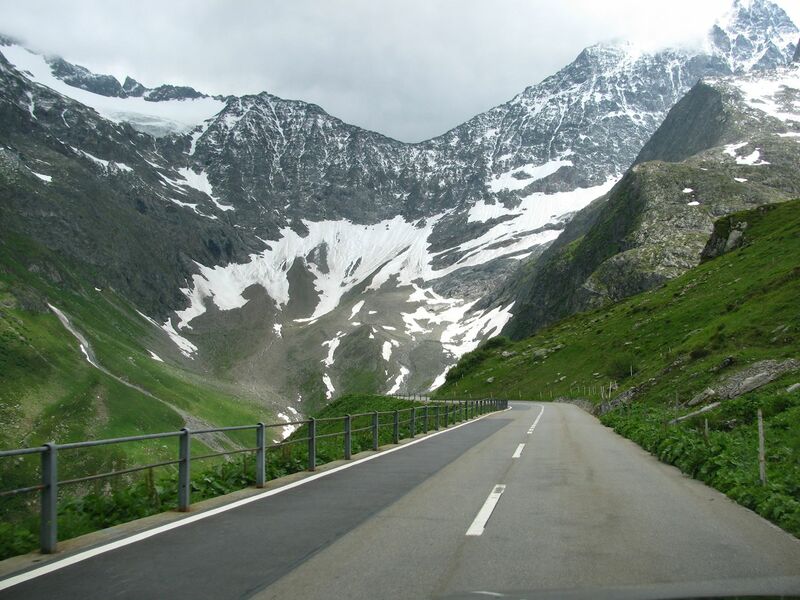 Susten Pass is the fifth road on ‘The Loop’, six mountain passes all centered on Andermatt in south central Switzerland. 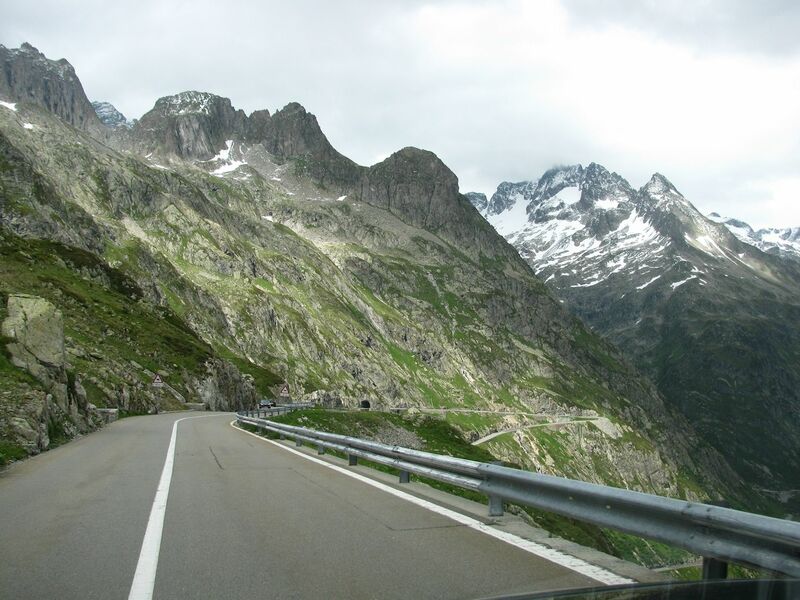 See here for the first two, Gotthard Pass and Tremola, or here for Nufenen Pass, Grimsel Pass and Furka (coming up).